Just as Poison frontman Bret Michaels resumes his concert tour in Biloxi, Mississippi, the news of Gary Coleman's death of a similar brain hemorrhage saddens the rocker. "Gary Coleman having a hemorrhage, basically from the very same hemorrhage that I had, and passing away is extremely sad," Michaels told "Extra" Friday in Biloxi. "And on the very day that I'm gonna try and start up my tour. I'm one of the lucky ones, who made it through." Do Michaels' doctors think he is overdoing it? "Dr. [Joseph] Zabramski has been with me since the beginning," Michaels said. "We talked a lot about this because I always knew I wanted to do "American Idol" and "Celebrity Apprentice." Michaels continued, "He wanted me to wait a month, but I'm ready to get out there on the road, feeling alive and making music again. I've been in the hospital a month and a half, and I'm ready to make some music again." The singer does say he is taking precautions. "I'm running at about 75 percent right now, but in my soul I feel good. I'm taking every precaution I can because I love my family and love my daughters, and I honestly mean this, I love life and want to be around. I love life, but I can't just sit still. Fans will know I'm an insane animal on stage and I like to give 100 percent on the stage but they'll understand I will give 100 percent of my 75 percent." 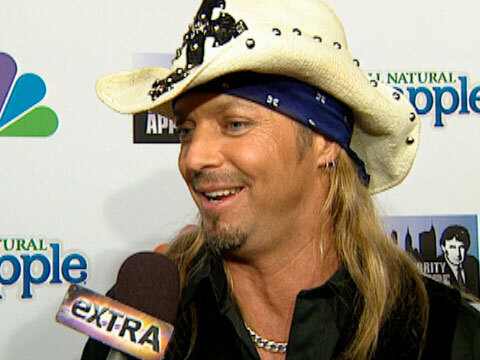 For more information on Michaels tour, go to BretMichaels.com.